In the “2005 Taiwan International Design Competition” „blowfly alarm clock” got awarded by the 3rd prize out of 1759 applications from 47 countries together with Ena Macana. 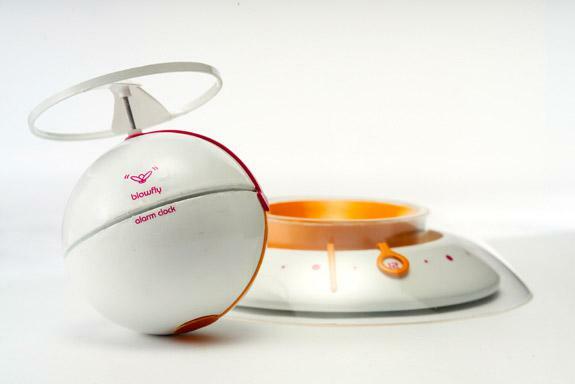 The „Blowfly alarm clock” consists of a spherical body with propellers resting on a cradle. 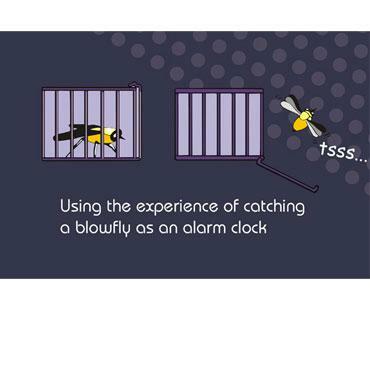 Blowfly transfers the experience of „being woken up by a mosquito or blowfly” into an alarm clock. Catching a mosquito requires movement and concentration that wake you up and keep you awake. A great tool for sleepers that go on sleeping after having switched off the alarm clock. At the required time the body takes off and flies through the room, accompanied by a buzzing sound. In order to switch off the alarm, the sleeper has to catch the flying object and to put it back to its cradle. Thus the user will remain really awake.